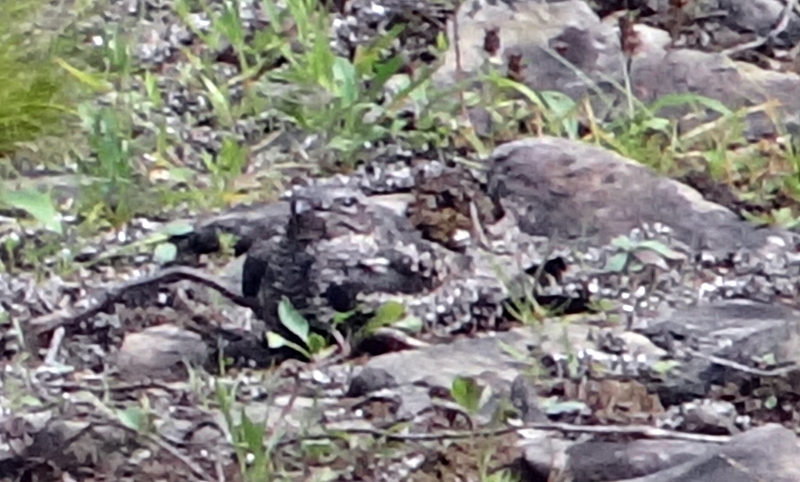 Ottawa’s largest natural area lies in the south end of the City, largely unknown to most residents. 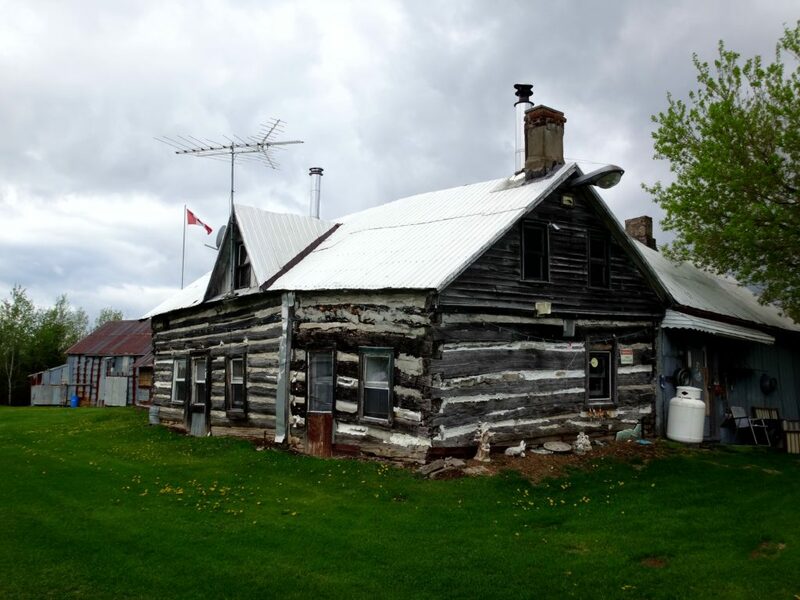 A 200 km2 patchwork of forest and abandoned homesteads, swamps and fens, dusty forestry roads and claustrophic thickets — it hides off the beaten path, protecting its secrets. Only one road crosses it, Roger Stevens Drive, which bisects it from east to west. Dwyer Hill Road skirts in and out along its west side. A few other public roads probe the edges, ending either in cattails or locked gates. One doesn’t stumble upon the Marlborough Forest; a visit requires purpose and intent. For much of the year, the Marlborough discourages exploration. 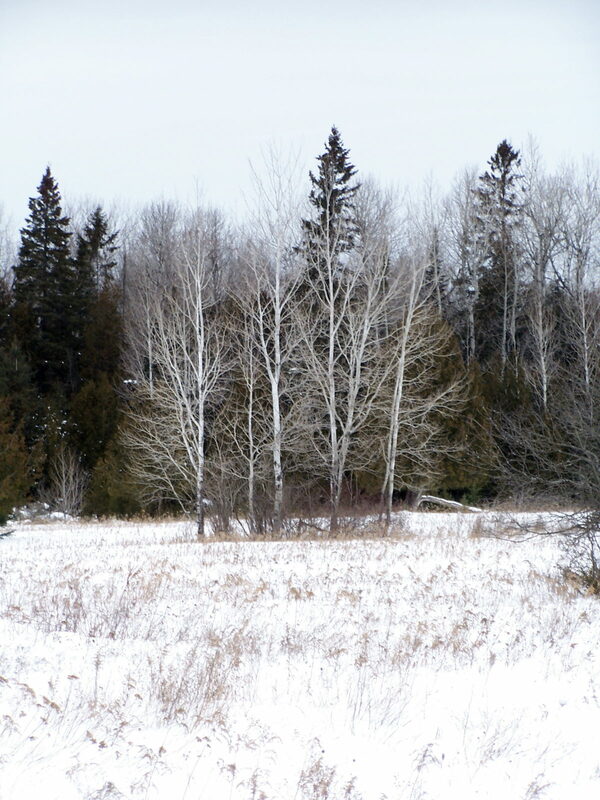 In winter, winds stream bitterly across flat peatlands and old fields, sculpting snow into ripples and waves, and piling it deep under bare hardwoods, while deer seek shelter in dark groves of cedar and spruce. In spring, meltwaters pool behind beaver dams, submerge roads and trails, and turn tracks into clay quagmires. In summer, plagues of mosquitoes and deer flies swarm in the hot, dry air to torment both human and beast. In autumn, the crack of hunters’ rifles warns against casual hiking. And yet, the Marlborough offers moments sublime and increasingly rare. The low, winter sun glinting off deep snow may highlight the tracks of a fisher crossing between trees or an otter crossing between creeks. 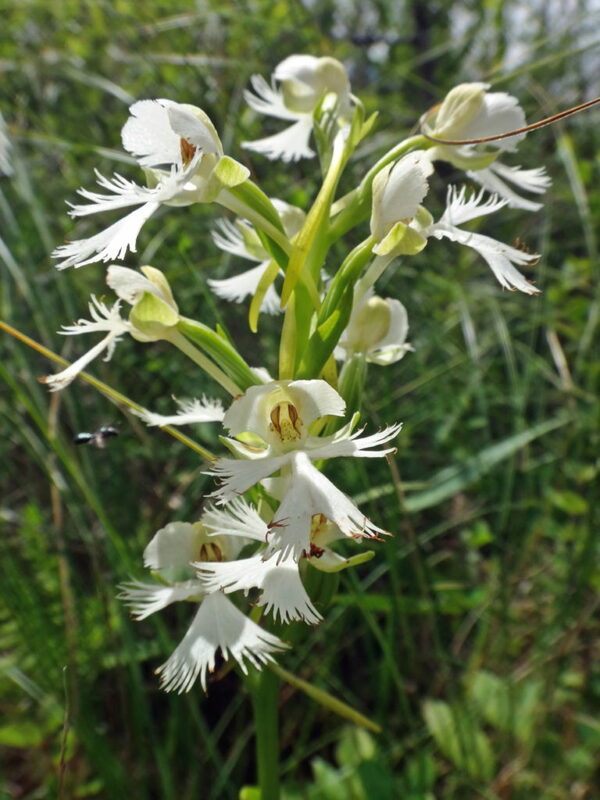 A humid and buggy trek through a swamp may lead to the open, fresh air of a fen, where orchids rise from pale green sphagnum like small, purple flags. In the stillness of a darkening, plum sky, bats may flitter along the edge of a clearing, while whip-poor-wills call plaintively. Perhaps because of its isolation, any intrusion on the quiet of the Marlborough feels more agregious. In the sharp winter air, the whine of snowmobiles announces their presence minutes in advance. 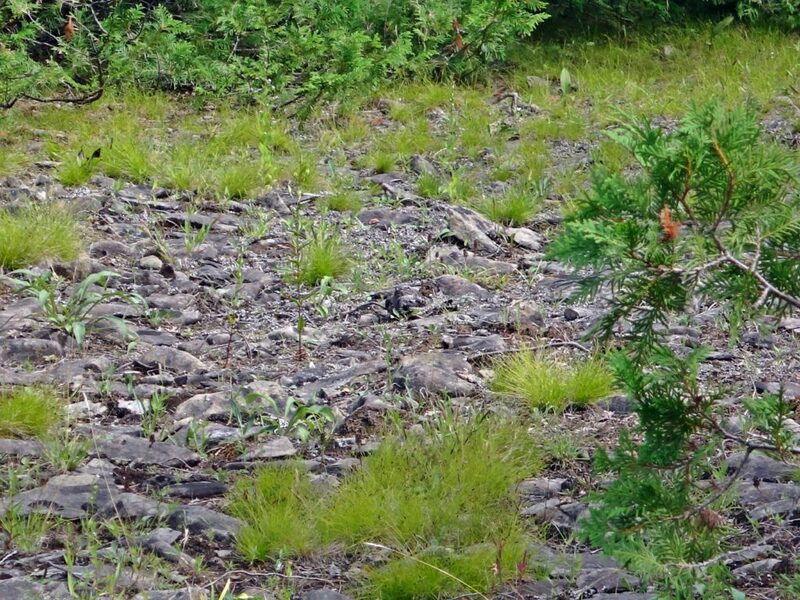 In the murmur and buzz of a summer afternoon, the grumble of ATVs stalks the forest like a disgruntled bear. Nonetheless, the Marlborough has survived because of its history of public use. More than half of the forest lies in public ownership, a legacy of Ontario’s Agreement Forest Program. The Agreement Forest Program ran from the 1920s until 1998. 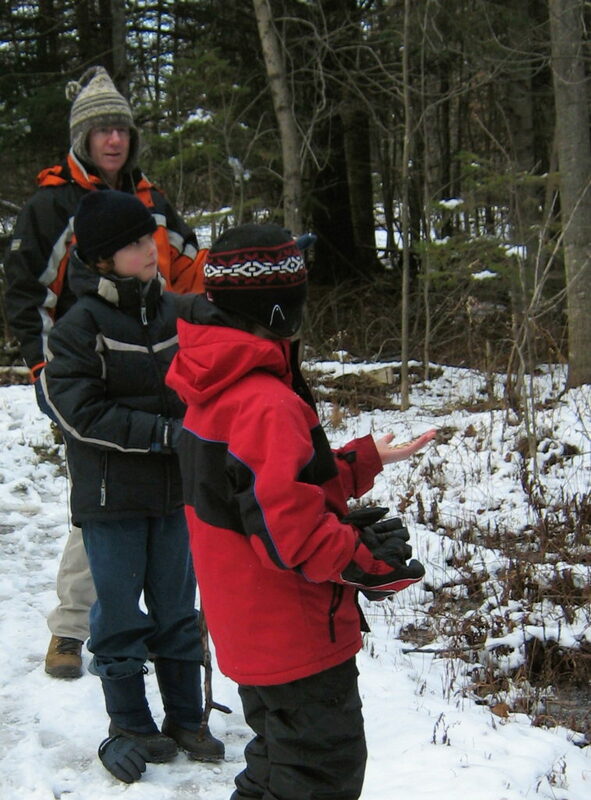 The program aimed to repair the damage done by the previous 150 years of deforestation in Ontario. 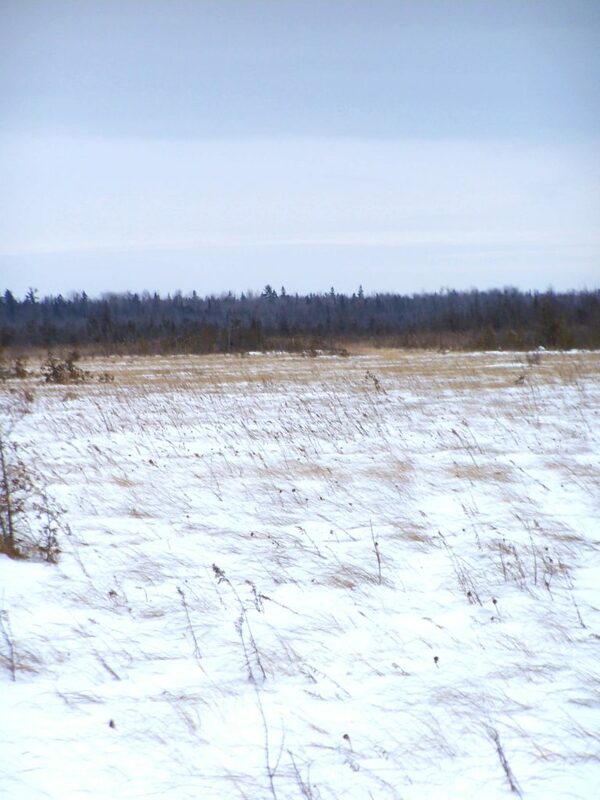 On abandoned lands — lands stripped by poor logging practices, scratch farms, and wildfires — the Province began a program of reclamation and rehabilition. 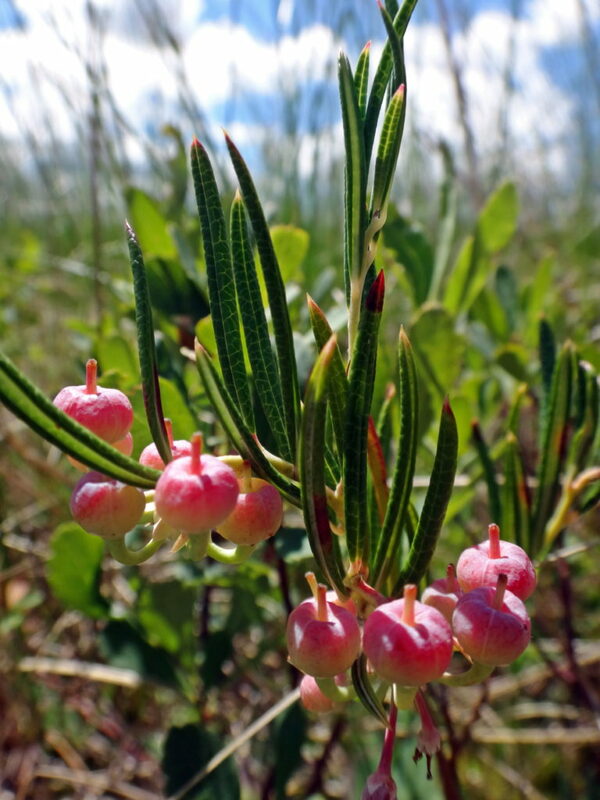 Many of Ottawa’s protected natural lands date from this time: places like the Cumberland and Larose Forests in the east, the Marlborough Forest in the south, and the Torbolton Forest in the west. 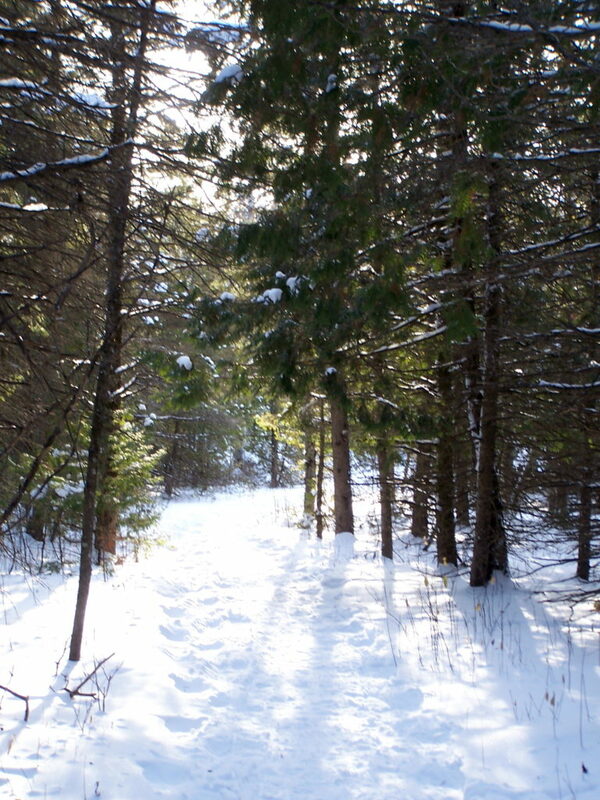 The Cedar Grove Trail, off Roger Steven’s Drive, provides a pretty introduction to the Marlborough Forest, ideal for a sunny winter day of snowshoeing or skiing (https://ottawa.ca/en/residents/water-and-environment/air-land-and-water/greenspace#south). 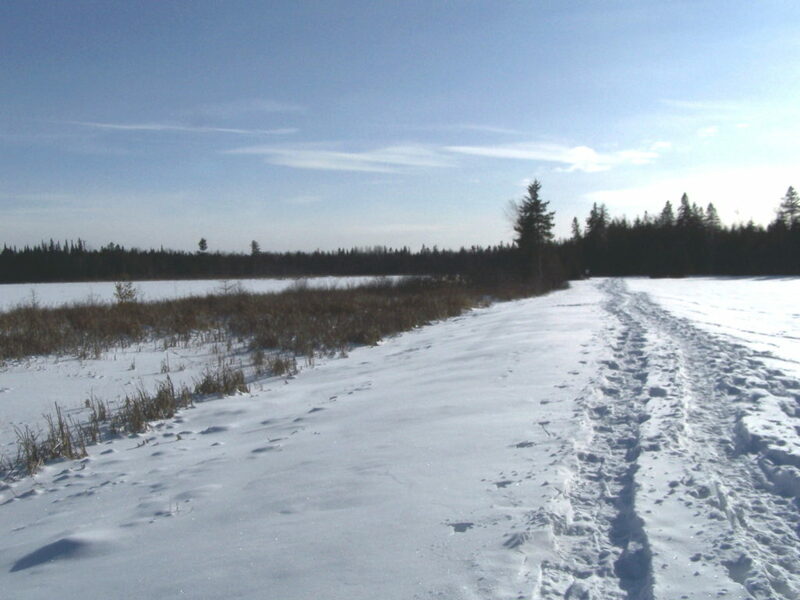 This short trail circles a small lake and takes about 1 – 2 hours to complete at an easy pace. En route, it passes over a short weir, crosses a meadow, and threads through hardwood and cedar forests. 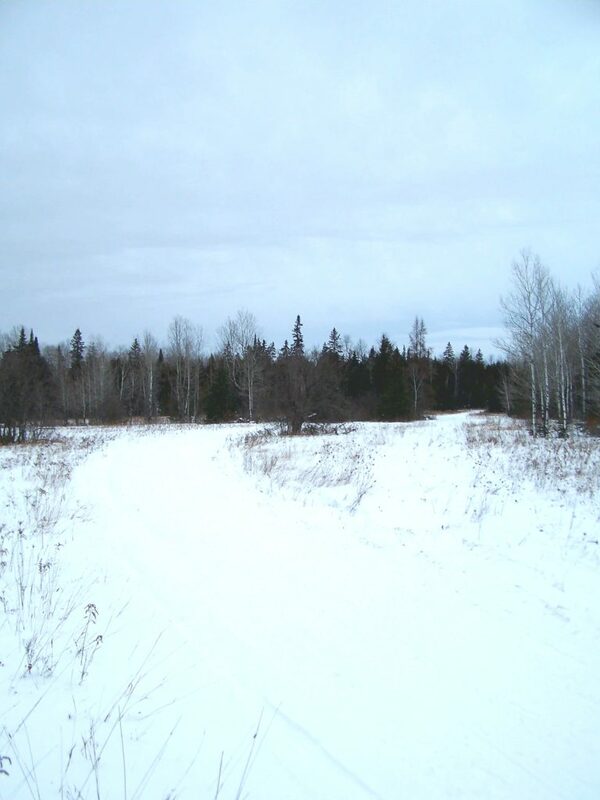 At first, the forest seems quiet, except perhaps for the distant buzzing of snowmobiles. But a few minutes of walking and listening soon corrects that perception. Chickadees and nuthatches twitter and flit among the trees, always ready to alight on an outstretched hand for peanuts and sunflowers seeds. Downy and hairy woodpeckers tap in the treetops. 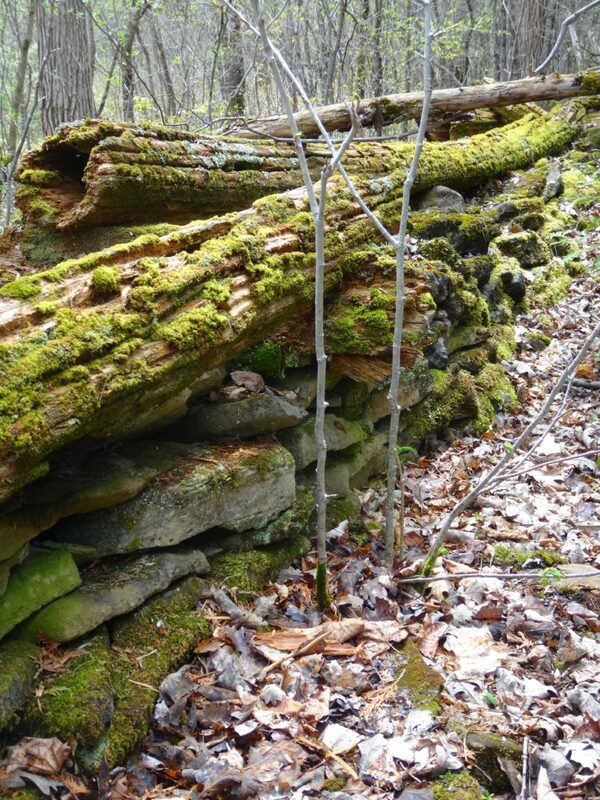 Pileated woodpeckers hammer deeper in the woods. With a deep “croak” and the susurration of wings, a raven passes overhead. Roger’s Pond, Cedar Grove Trail, Marlborough Forest. 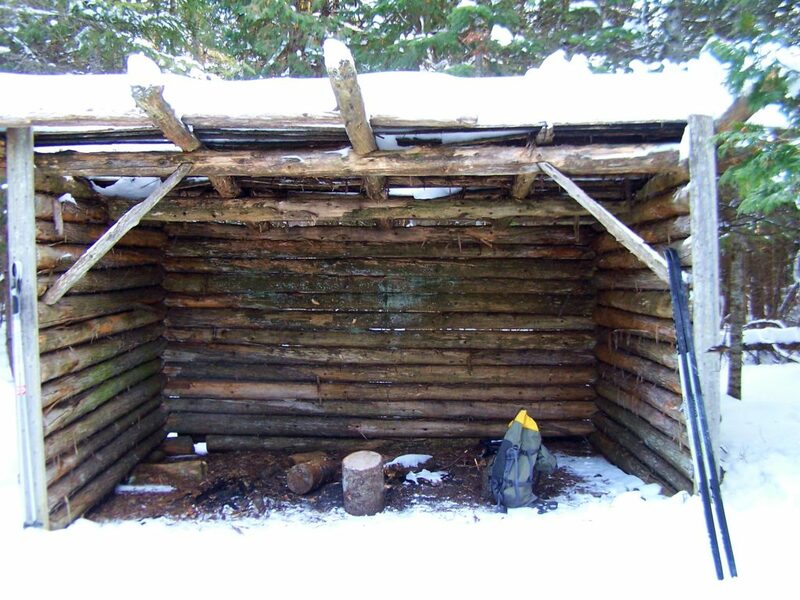 Other life remains hidden behind the cedars or sheltered under the snow. 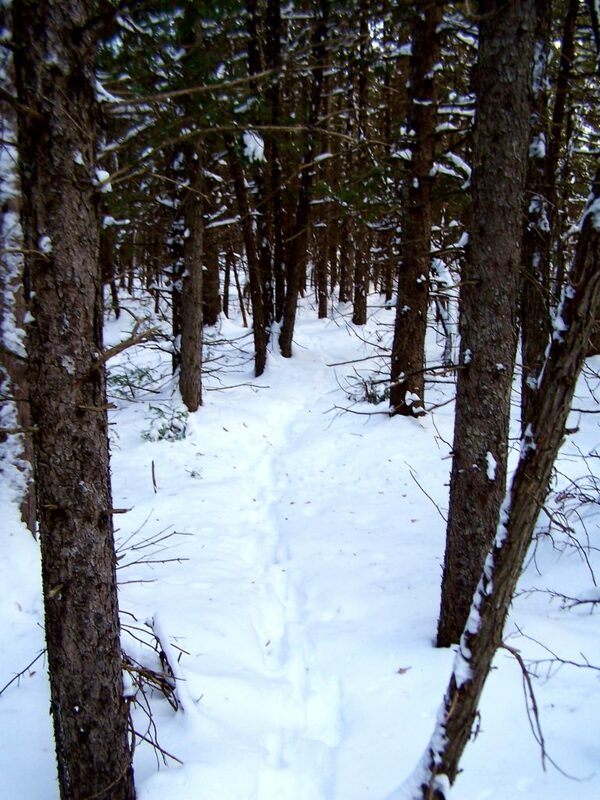 The tracks of white-tailed deer, squirrels, and hares cross the trail. The delicate footprints of a white-footed mouse emerge from a tunnel beside a log and end at a small pile of seeds. Under the pond ice, beavers venture from their lodge to retrieve twigs from their food pile. Under the clearer ice by the weir, a close eye may find water beetles still hunting in the gently flowing stream. I haven’t visited the Cedar Grove Trail outside of winter, but I imagine it equally as lovely. I’d opt for autumn, after the mosquitoes and deer flies, when the golden foliage along the pond should glow against the darker conifers. I can picture a frosty early morning walk, with the sun just touching the down of milkweeds in the meadow, perhaps a delicate rime on the leaves and grasses, and a beaver silently creasing the pond toward home. A faint mist might lie on the water. Along the forest edge, the sun might catch the flash of a white tail, as a deer vanishes into the wood.